Ms. Esker is a classically trained opera singer available for events such as weddings, funerals, recitals, and other special events. She is actively performing in the Chicago area and has extensive performance experience in various styles. Toni Esker performed for our family in honor of our Fathers 90th birthday. To say we enjoyed her performance is an understatement. She far exceeded our expectations. Toni was absolutely outstanding. Every one was mesmerized by her professionalism, especially my father. Afterward she stayed an visited so we could get to know her a bit. She was very generous with her time we are extremely grateful. GigSalad should be proud to have Toni as a client. Please promote her in any way you can. I got married this past October and had Toni as our vocalist. She has such an amazing voice. Her singing made the ceremony even more special. She did an exceptional job at every song that we picked. Toni Esker, lyric soprano, is known for her expressive musicality and dark, rich tone. Recently, Ms. Esker completed a young artist program with Chicago Summer Opera, where she studied with Julia Faulkner and was seen as Erste Dame in Die Zauberflöte. She also had the pleasure of singing Giulietta in a new production of Tales of Hoffmann: Retold, with Opera Theater of Pittsburgh. While at Opera Theater of Pittsburgh, Ms. Esker was also a part of the world premiere production of Nightcaps International: French Suite as well as Mozart: A Family Affair Concert, and a frequent Cabaret soloist. Ms. Esker holds a Masters Degree in Voice Performance from Northwestern University where she studied with Sunny Joy Langton, Alan Darling, Ken Smith, and Richard Boldrey. While at Northwestern, she was seen as Zemfira in Aleko, First Gossip in The Ghosts of Versailles, First Spirit in The Magic Flute and was a finalist in the 2010 Concerto Competition. 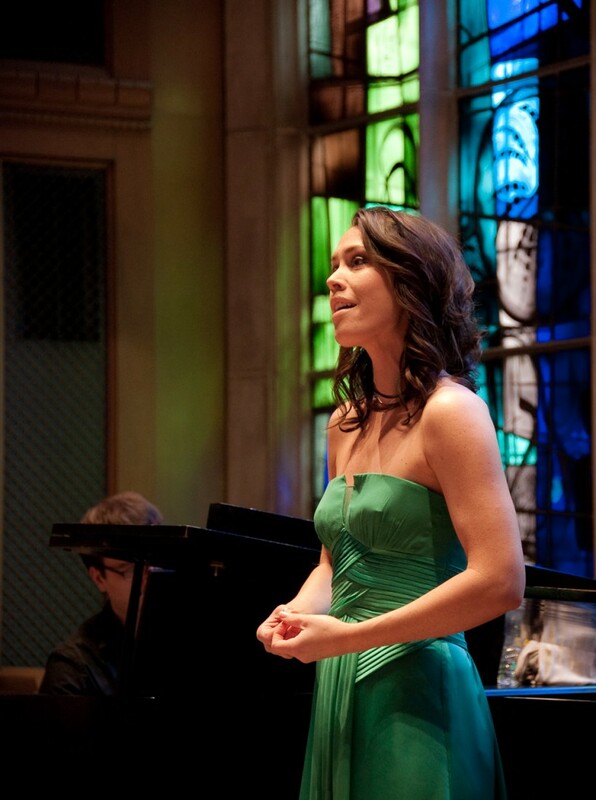 Scene performances while attending Northwestern University include Fiordiligi in Così fan tutte, Zerlina in Don Giovanni, and Micaëla in Carmen. 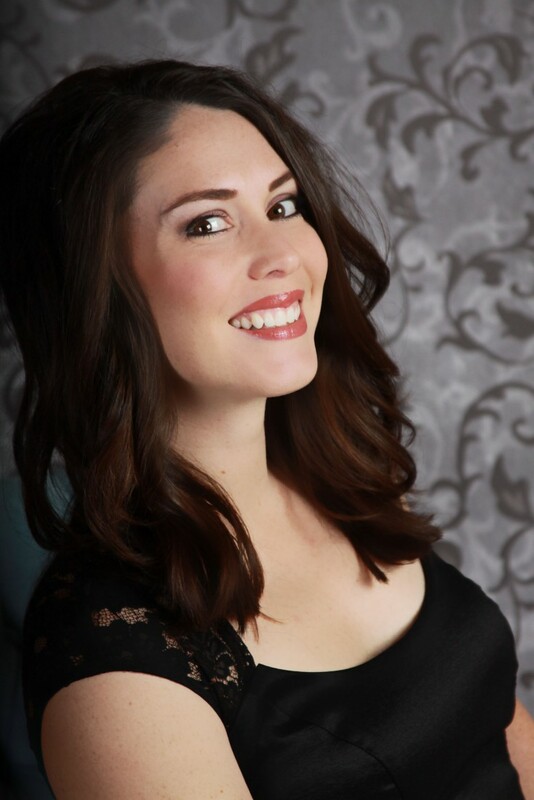 Ms. Esker holds a Bachelor of Music in Vocal Music Education from Eastern Illinois University where she was seen as Micaëla in Carmen and was a two time Concerto Competition winner. Ms. Esker has received multiple honors from competitions with NATS, Bel Canto Foundation in Chicago, and has also sung in master classes for acclaimed singers such as Eugene Perry and Mary Dunleavy. As a soloist in demand, she has also performed in Schubert’s Mass in C Major, Mozart’s Exsultate Jubilate, Pergolesi’s Stabat Mater, Handel’s Messiah, and Vivaldi’s Gloria. Ms. Esker is currently a cantor and choir member at Immaculate Conception parish in Elmhurst, IL and has a private voice and piano studio at Elmhurst Music Academy.